What game types do you most like? (s&d, titon) i like s&d the most because i feel its the most skill based, i also enjoy the zombie mod for a change every now and then. Why do you want to join? my friend benn (renegade) told me that you guys were recruiting to build 2 teams so i decided i would put in an application. What skills can you add to the team (eg. good medic/sniper)? my wep of choice would be the AK-47 with silencer i like to get in amongst the action but im also good at camping / holding / controlling an area. i snipe a bit and id like to think im alright at it, i have blue tiger for the barret but, its a barret... and i got i from playing in pubs so i guess it doesnt count for much. 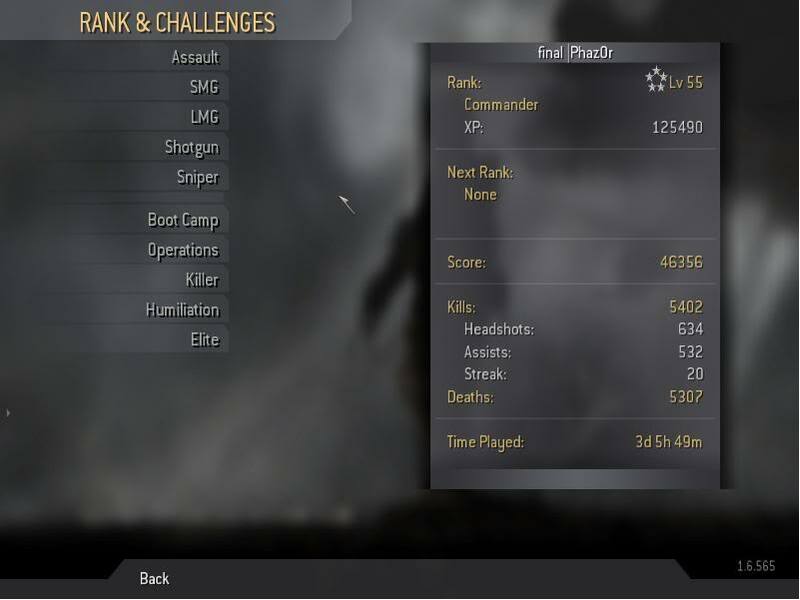 COD4 please post a screen shot of your stats. well he is a very good and skilled player and i know him well is a good friend of mine would be silly to not give him a try he has what it takes and wouldnt let us down ..
sorry forgot to post link on last post.